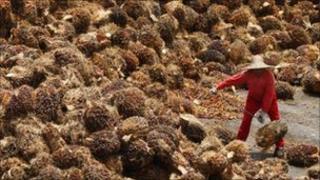 EU biofuels targets are unethical, according to a report by the Nuffield Council on Bioethics. Its authors recommend the targets should be lifted temporarily until new safeguards are put in place for biofuels grown in Europe or imported. But they stop short of calling for a complete halt to biofuels, which some environmentalists want. And they hold out the hope that new technologies may be able to develop biofuels from cellulose. Crucially, they hope this could be done in a way that does not damage the environment or compete with food crops. However, they acknowledge that progress towards these new biofuels is too slow, and that the next-generation fuels available are too expensive. They want governments to do more to encourage biofuels that use less land, fertiliser and pesticide. The Council is an independent body that was set up 20 years ago to ponder ethical issues raised by developments in biology and medicine. It has been studying biofuels for 18 months - specifically relating to the EU Renewable Energy Directive target that biofuels should account for 10% of transport fuel by 2020, a much-criticised mandate originally designed as part of Europe's strategy to combat climate change. have costs and benefits that can be distributed in an equitable way. These principles would be backed by a mandatory - and strictly enforced - EU certification scheme, a little like the Fairtrade scheme. The authors rehearse a familiar list of complaints about current biofuel production: it strips biodiversity when forests or peatlands are cleared to grow fuel crops; current biofuels produce too little energy; biofuels are imported from countries which often have low environmental standards; biofuels compete with food crops and contribute to pushing up food prices. Currently 3% of UK road fuel is biofuel. The report notes that only a third of that met an environmental standard in 2009/2010. The report's chair is Joyce Tait, scientific advisor to the Economic and Social Research Council's Innogen Centre at Edinburgh University. Professor Tait told BBC News: "It is clear that current EU policies as currently produced and incentivised are unsuitable and unethical. We clearly need a new overarching ethical standard backed up by certification to improve the way the world produces biofuels." Responding to the challenge from some campaigners that cropland should not be used to fuel the cars of the rich, she said: "There are numerous conflicts with food crops. "There are ways of dealing with that through food prices. It's not controllable in the direct sense but it's controllable with the certification we envisage so that biofuels do not compete with food crops." She admitted: "Multiple requirements for land use are not able to be met with current technology, current disturbances caused by climate change and current population growth requirements - we are going to have to improve." Her co-author Ottoline Leyser, professor of plant development at the University of Cambridge's Sainsbury Laboratory, said: "We have to have a sustainable supply of food and fuel. "We need fuel to grow food. We have to consider it as a piece, and factor in ecosystems and biodiversity, too." Professor Leyser said the report had not attempted to calculate whether the world had enough land to supply the needs of food, fuel and wildlife, but that she was optimistic that there would be enough. "I'm an optimist at heart. We will have to reduce our use of fuel and reduce our consumption of meat - but we will have to do this to adapt to the future anyway." Critics say the authors are naïve in thinking that certification schemes will work, and too wedded to technology solutions. Kenneth Richter, Friends of the Earth's biofuels campaigner, told BBC News: "The Government must simply scrap biofuel targets and instead focus on greener cars and improved public transport, fast and affordable rail services, and incentives to get people cycling and walking." Robert Palgrave from the Biofuelwatch campaign was scathing about the Council's conviction that certification would guarantee that agricultural land would not be swallowed by biofuels. He told BBC News: "We have serious concerns that an Indirect Land-Use Factor, far from being a step towards stopping agrofuel use in the EU could potentially make things even worse. "There is no scientific credible way of calculating the full climate impacts of agrofuels. Indirect impacts are not just about 'hectare for hectare' displacement; they are also about the interaction between land prices and speculation, about the impacts of roads, ports and other infrastructure on forests, about policy changes which affect land rights, about scarcely-understood interactions between biodiversity, ecosystems and the climate."